Win £150 towards a New Composite Front Door! 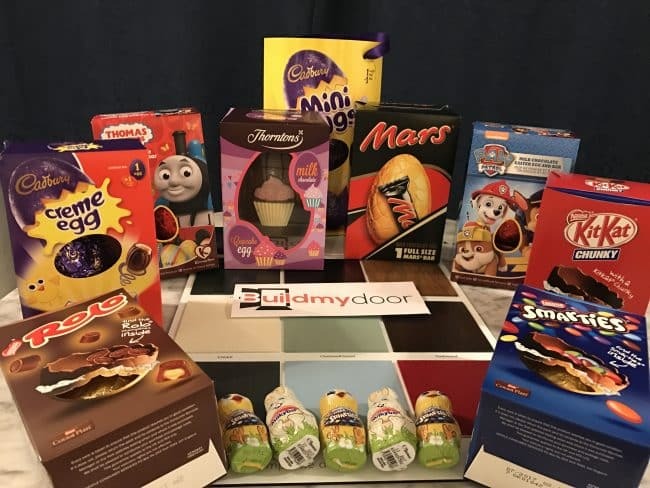 Buildmydoor are giving you the chance to win £150 towards a new front door, plus a bundle of easter eggs, too! *The competition ends at 6pm on Sunday, 25th March and a winner will be chosen at random. *Prize cannot be transfered to any other person. *£150 deducted from the final payment due. Deposit must be paid in full. It seems the world is going mad for composite front doors! At Buildmydoor we often find that the rate of enquiry and orders of made to measure composite front doors increase in the Autumn. 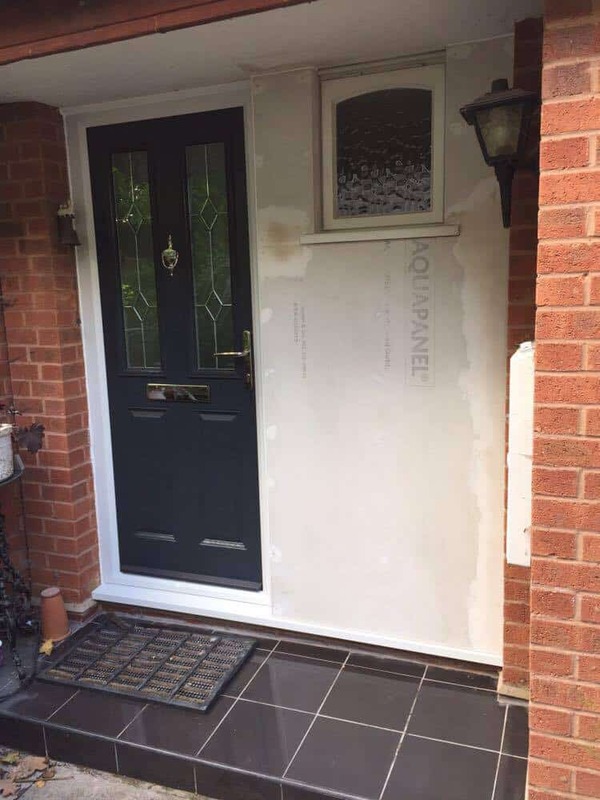 Often the enquiries follow some wet weather that reminds the homeowner that their old wooden or uPVC front door is no longer up to the job of protecting their home. This month we have supplied a range of modern and contemporary front doors, and will even be supplying and installing FD30 certified fire doors to a client in Fleet next week. Another first has been the installation of a composite door with a Yale keyless lock system. 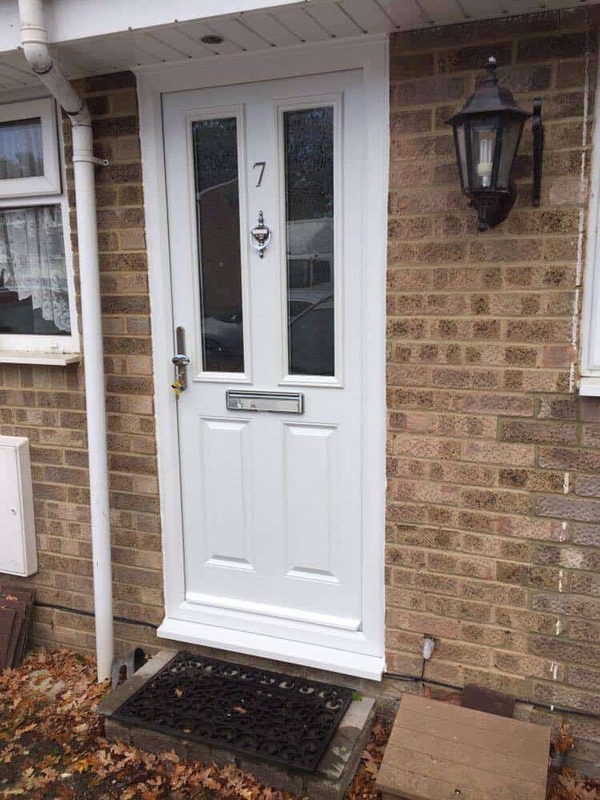 As with the rest of the they year, our grey composite front doors are still the most popular choice, although we’ve also noticed a spike in white composite doors, too. 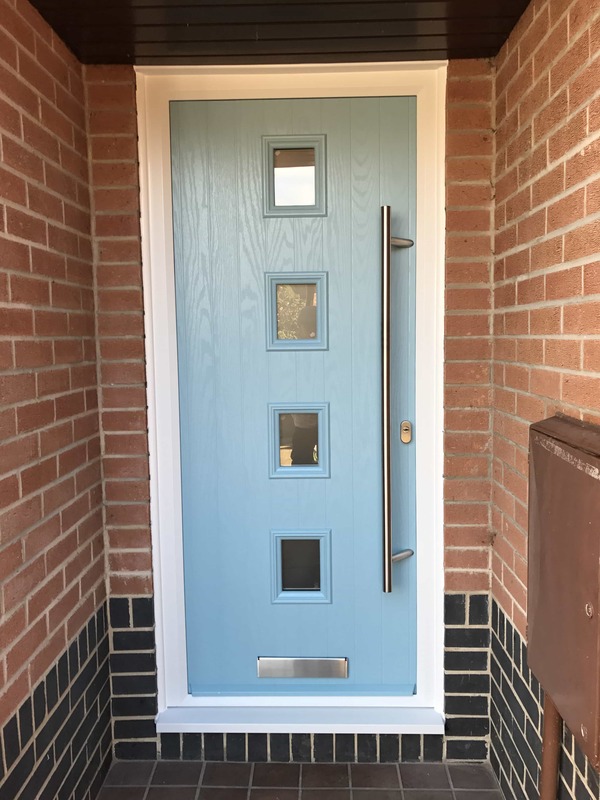 We’re really looking forward to November – there are some pretty new front doors being produced as we speak to brighten up the front of homes in Southampton and Portsmouth. This October has been the busiest month EVER here at the Buildmydoor headquarters! 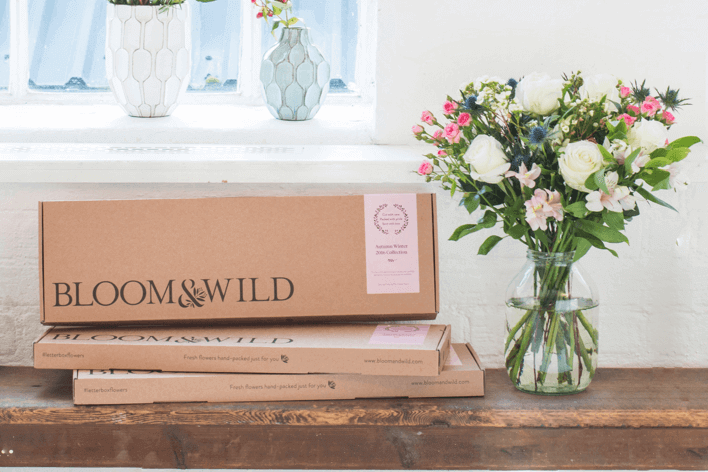 To celebrate, we have a new competiton to win a beautiful bunch of letterbox flowers from the wonderful people over at Bloom & Wild. One comment will be selected at random to win a bunch of letterbox flowers from Bloom & Wild. They may not be as photographed in this post or on the Facebook post. Buildmydoor have a new competition to win easter eggs listed on our Facebook page! To win a bundle of easter eggs, just like us know which of the 13 colours of composite doors is your favourite by leaving a comment on our facebook post. Valid entries must comment on the Facebook competition post, stating their favourite colour composite front door which can all be found on the composite front door colours page. Winner will be contacted by 15.4.2017 and will have 7 days to claim their prize. Prize consists of 9 easter eggs as photographed. If the Buildmydoor page gets more than 500 likes by 31.3.2017, the prize will be doubled to 18 easter eggs. Easter Eggs will be delivered to SO and PO postcodes and areas listed in our composite front door fitting page. Winners from outside this area will need to arrange collection of the prize. This competition is in no way endorsed by Facebook. 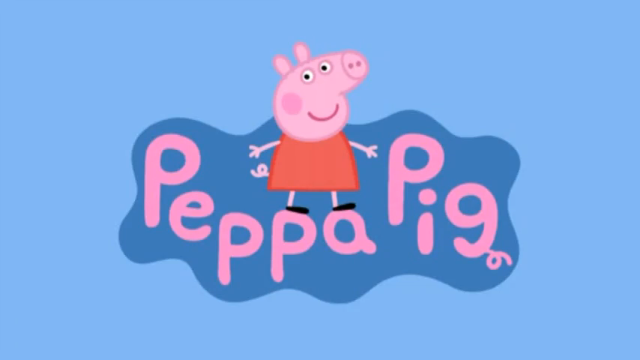 WIN A FAMILY PASS TO PEPPA PIG WORLD WITH BUILDMYDOOR! To celebrate our shiny new website, Buildmydoor have a new competition on our Facebook page! Just like our business page and share the competition post with your friends to be in with a chance of winning a family pass to Peppa Pig World in Southampton! To ensure your entry is valid, the winner must have liked the Buildmydoor Facebook page and shared the competition post. Please ensure that your post is set to public to ensure we can confirm the entry. Winner will be contacted by 7.4.2017 and will have 7 days to claim their prize. This competition is in no way endorsed by Facebook or Peppa Pig World.